With Sunday's thrashing by Arsenal, the Everton hierarchy have decided to wield the big stick and Koeman has been sent packing. Ronald Koeman has emerged as the latest managerial causally in the Premier League. The Dutch coach has failed to get the desired results for the Toffees despite the huge cash spent in the last transfer window. 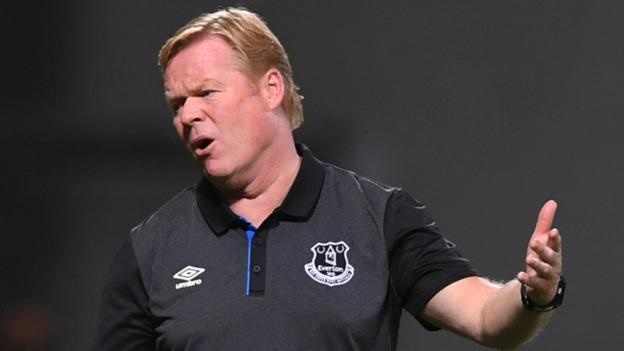 A statement from the club on Monday read: "Everton Football Club can confirm that Ronald Koeman has left the Club. "Chairman Bill Kenwright, the Board of Directors and Major Shareholder Farhad Moshiri would all like to express their gratitude to Ronald for the service he has given to the Club over the past 16 months and for guiding the Club to seventh place in last season’s Premier League campaign"
Everton are presently third from the bottom in the Premier League.